Last week at CinemaCon in Las Vegas, I got to talk with Taron Egerton backstage at the closing night Awards ceremony. He was in town to help promote director Otto Bathurst’s Robin Hood, as well as receive the “CinemaCon Action Star of the Year” award from The National Association of Theatre Owners (NATO). While the first trailer for Robin Hood should be online tomorrow, I got to see some footage at the convention and one of the things that surprised me was seeing Egerton alongside Ben Mendelsohn as the Sheriff of Nottingham, discussing ways to catch his alter ego, Robin Hood. I’ve seen a few Robin Hood movies and don’t remember any version where the two characters were working together. It was an interesting twist. 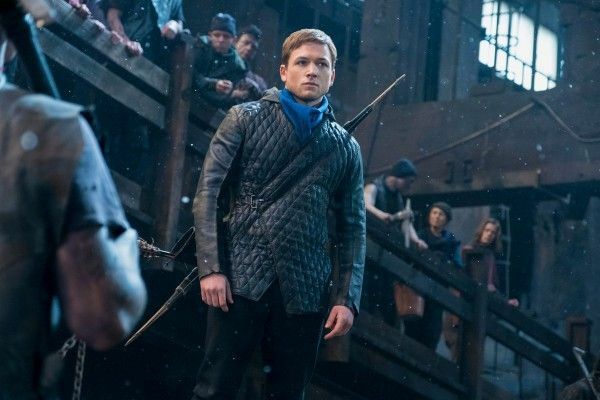 In addition to seeing Egerton and Mendelsohn, the footage also revealed Jamie Foxx as Little John, Jamie Dornan as Will Scarlett, and Eve Hewson as Maid Marian. 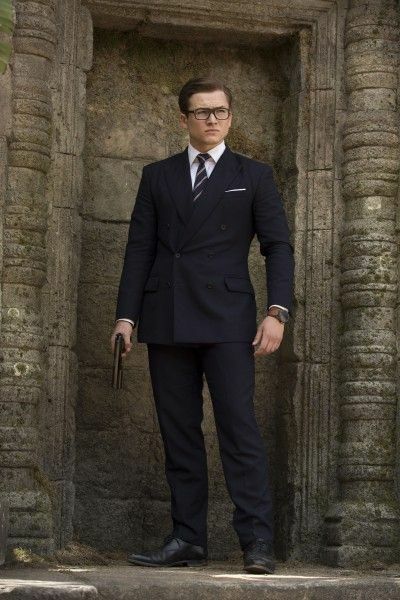 As you can see in the player above, when I started talking with Egerton about Robin Hood, he revealed a bit more about his character, how he’s playing a double agent, and how working with Matthew Vaughn on the Kingsman movies helped him prepare for the action. While you’d think a musical about Elton John would be a no-brainer especially with how many iconic songs can be used in the film, I’m just happy it’s finally near the starting line. Finally, if you never saw the movie Sing, trust me when I say Taron Egerton has got a killer singing voice and I think people are going to be blown away by what he does in the role. Check out the interview above and below is breakdown of exactly what we talked about. How he’s never been to Las Vegas. How it’s a different of Robin Hood than people have seen. How he plays a double agent in Robin Hood. 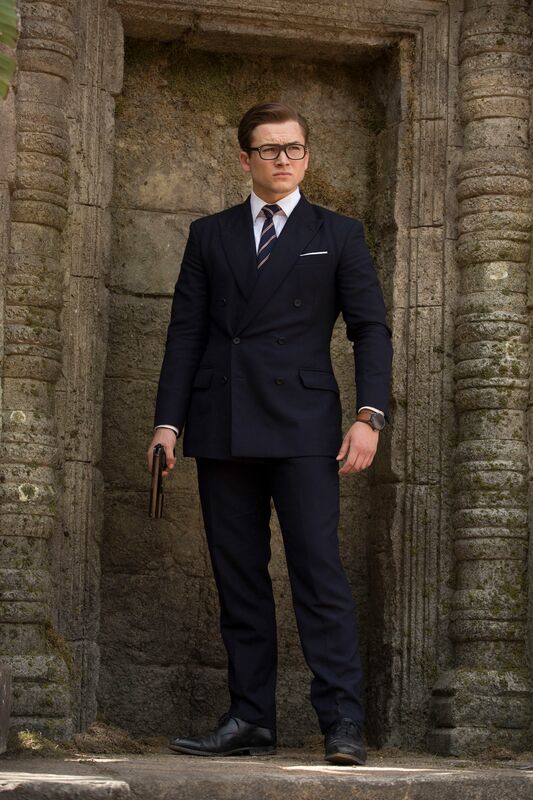 How did working with Matthew Vaughn in the Kingsman movies help him prepare for the action in Robin Hood? Talks about Rocketman and how he’ll be singing live on set. Heroes: How Will 'Ant-Man and the Wasp' Lead into 'Avengers: Infinity War'?